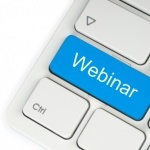 August 2, 2013 — ChiroTouch, a leader in chiropractic software, is pleased to announce the “EHR Stimulus – Why Moving Now Matters” webinar, which is scheduled to air Aug. 8, 2013, at 3:00 p.m. PST. Join ChiroTouch to learn more about what it takes to get your stimulus funds! We will also have a Q&A with other practices that have gone through the process in 2012 and have received their checks. To join ChiroTouch for this webinar, visit https://www2.gotomeeting.com/register/302846066.